At the grand finale of Mexicana Universal Nuevo León 2018, Claudia Lozano Domínguez successfully won the crown on 10th November 2018 and became the official representative of Nuevo León in the forthcoming pageant of Mexicana Universal 2019. On getting crowned as Mexicana Universal Nuevo León 2018, the beauty queen felt elated and grateful to Lupita Jones (national director of Mexicana Universal) and Oscar Perez (state director of the contest) for placing their faith in her and believing that she will responsibly fulfil her duties as Mexicana Universal Nuevo León 2018. Claudia hails from San Pedro and is 25-year-old and stands at a height of 181 cm. She has a career in fashion designing and is currently pursuing her studies in International Business. The diva is tri-lingual as she can speak English and French along with her native language Spanish. She describes herself as a creative, passionate and curious person. She likes to try her hand at learning new things and get to know new places and people. One of her biggest dreams is to be an international model and win the coveted pageant of Miss Universe. In addition to this, the 25-year-old would also like to help people with limited resources and opportunities so that they can move forward and progress through education and skills. To make this dream of her a reality she is focused on a project where she teaches people to manufacture their own products and earn a livelihood with dignity. The reigning Mexican Universal Nuevo León 2018 is not only looking forward to fulfilling her social projects but also wants to surpass everyone’s expectations from her. The gorgeous diva is no stranger to pageantry as she already has a win and participation experience under her belt. Claudia was previously the winner of Elite Model Look México 2009 and represented the country in the Elite Model Look International 2009 contest in Sanya, China where she was a part of the Top 15. In 2013 she was selected to compete for the crown of Nuestra Belleza Nuevo León aka Our Beauty Nuevo León, however, gave up competing due to health problems. A year later in 2014, she was again got cast to contest for the state crown of Nuestra Belleza Nuevo León, however, was eliminated during the castings of “Buscadores de la Belleza”, who argued that she was not in optimal health conditions to participate. 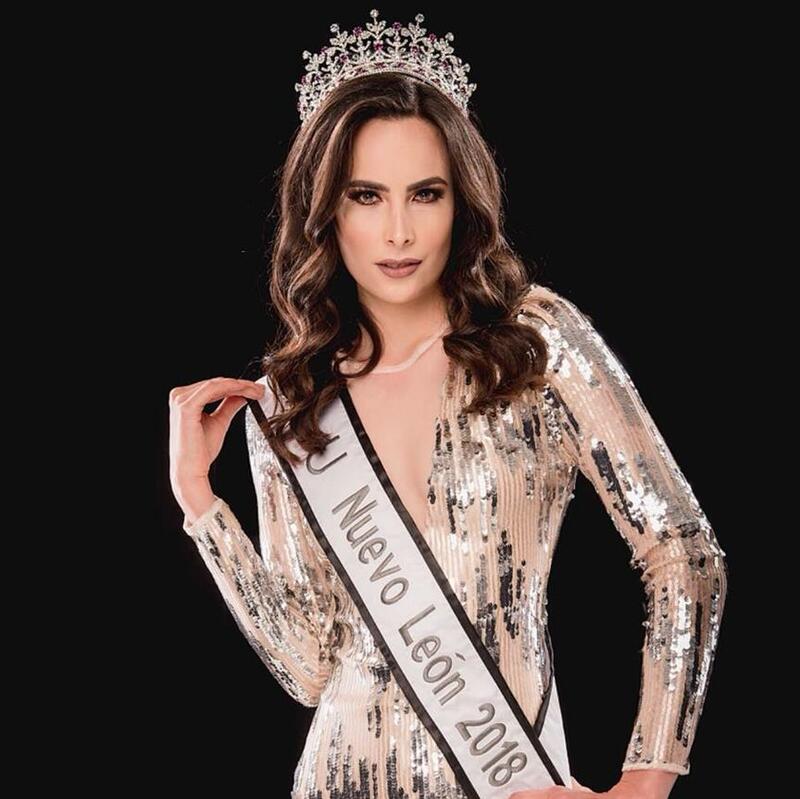 With more than ever stronger determination and perseverance this diva returned to the pageant world and earned her rightful place and the crown for Mexicana Universal Nuevo León 2018. Angelopedia wishes Claudia Lozano Domínguez all the very best on her voyage to Mexicana Universal 2019!